Just because you want to live in East Cobb doesn't mean you can't enjoy the low maintenance condo lifestyle! Horizon is the answer: a full-service building located in East Cobb. Building amenities at Horizon include concierge service, fitness center, business center, club/meeting rooms and outdoor pool and patio. 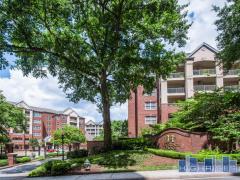 With amenities that rival in town buildings, this Cobb county high-rise has a modern resort feel and convenient access to I-75 and the rest of Marietta. Have any comments or questions about Horizon Condominiums? Ask your question and/or share your thoughts about this Building.